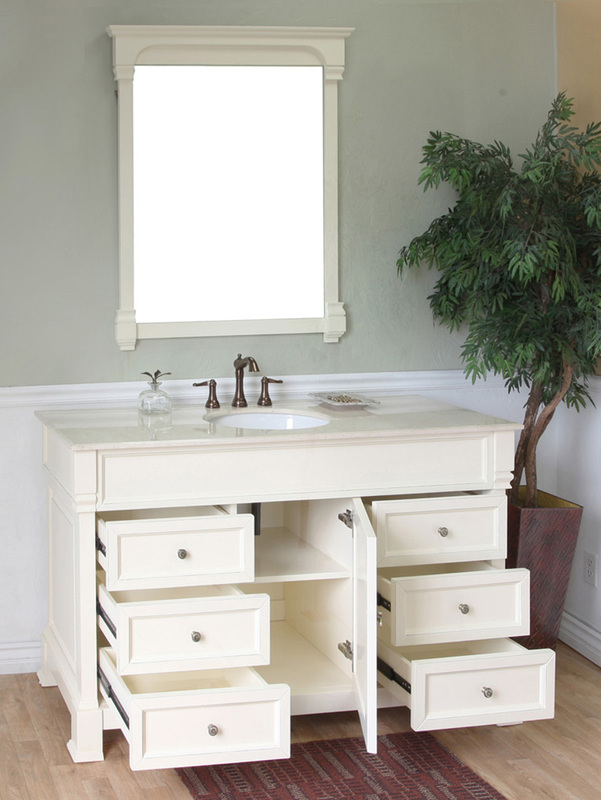 The Helena Large Single Vanity is a beautiful and practical traditional bathroom vanity, with its beveled design and ample storage space. 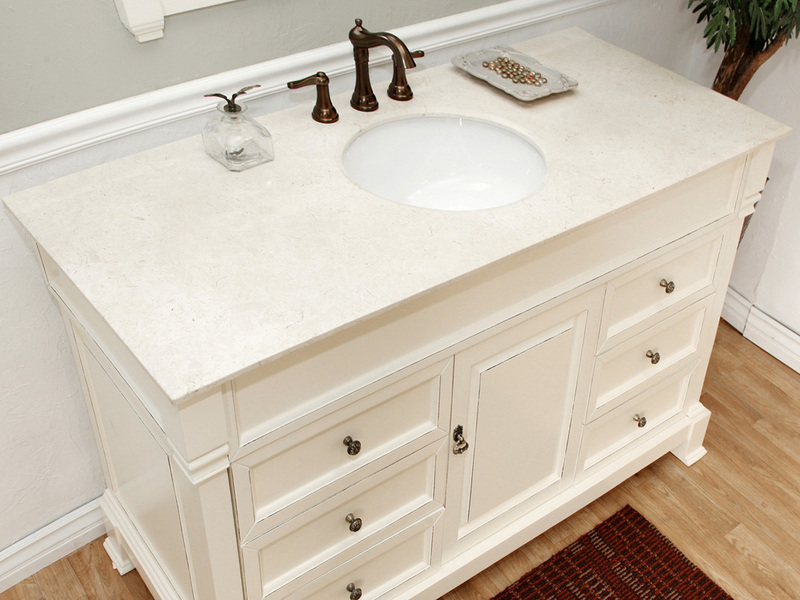 The cream white finish with rubbed edge gives the vanity additional charm, and the cream marble counter top adds a hint of luxury to it. 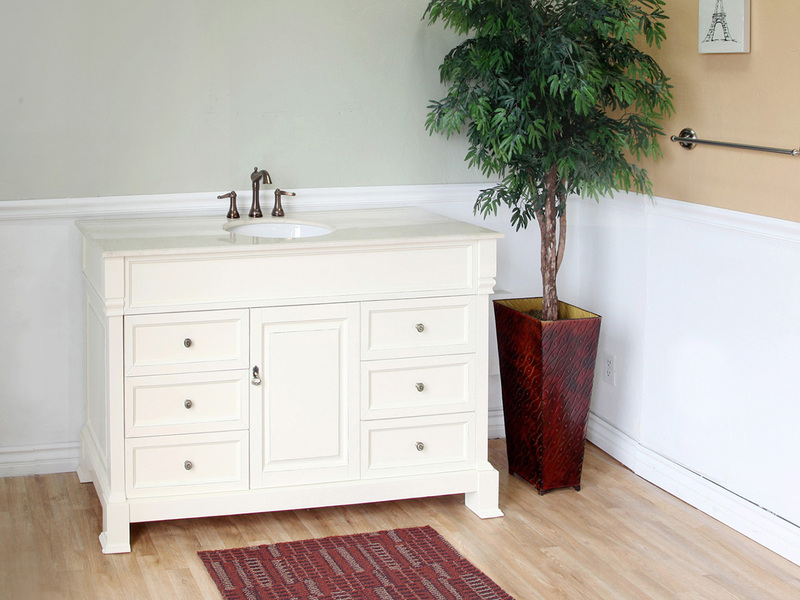 With six drawers and a single door cabinet, this cabinet has several storage options for your bathroom accessories. 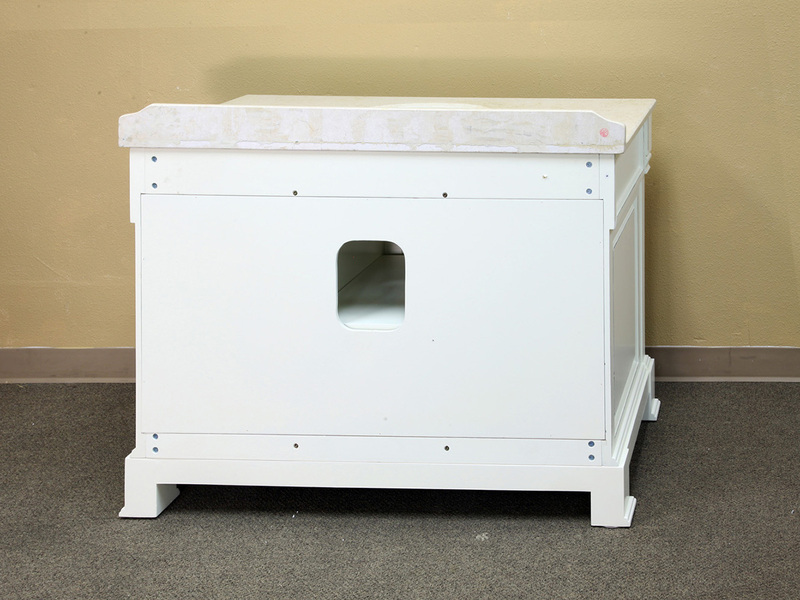 The cabinet is made from solid birch wood and its water proof finish protects it from humidity. 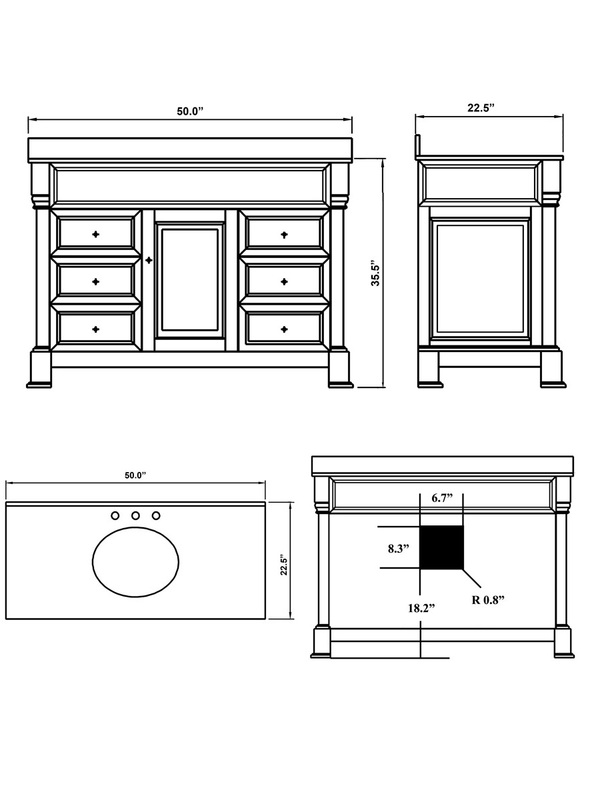 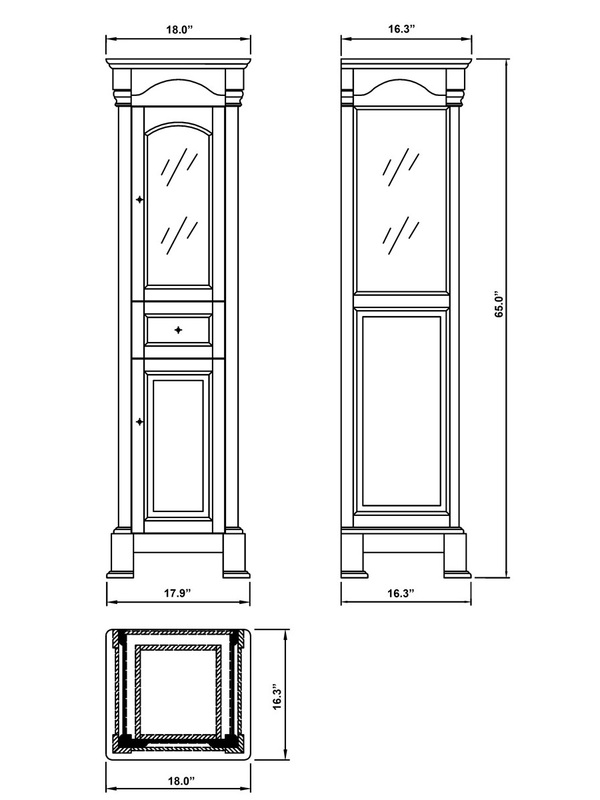 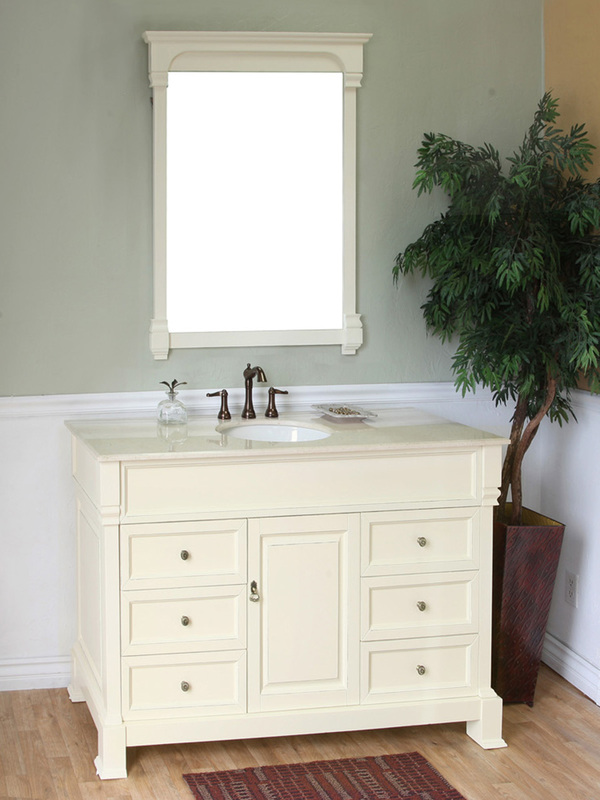 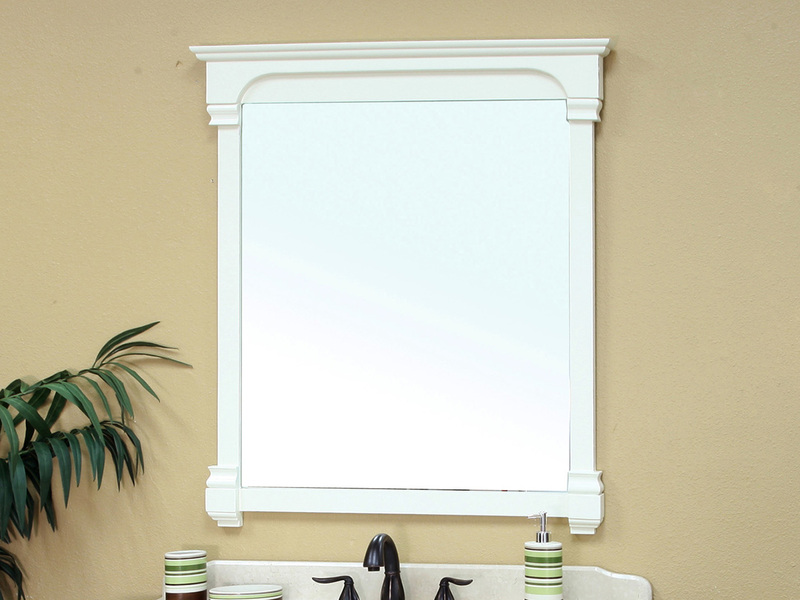 For more traditional style and function, an optional framed mirror and line cabinet is available for this vanity in a matching style and finish.